The "9700" series NABI model 416 were actually delivered in 1998. 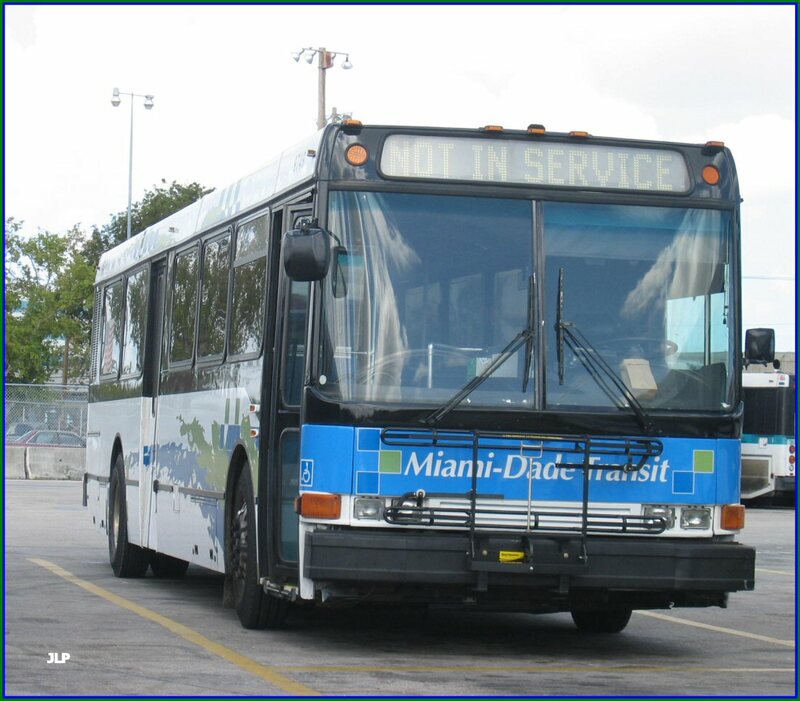 It was MDT's first purchase of 40' transit buses from a manufacturer other than Flxible in over 10 years, MDT had purchased 66 60' articulated buses from American Ikarus in '94/'95, but Flxible did not offer such coaches. 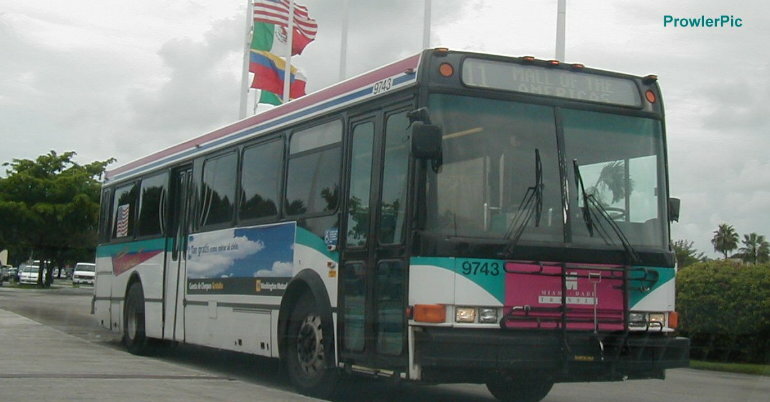 The 9700s were also the last high floor buses purchased other than the MCI commuter coaches. They came with the Detroit Diesel Series 50 engines and the Allison B400R transmission. The order was for fifty coaches, 9701-9750, and about 45 are still in service today. Bus 9750 works its way eastbound on a Route 8 at SW 8th street and 43rd avenue. Bus 9743 on the Route 11 at Mall of the Americas. Bus 9749 at Coral Way yard.